Messy play for babies is crucial to healthy sensory development. These ‘messy moments’ provide important foundation building blocks, sensory experiences, muscle and brain growth – all of which prepares them for later success and learning. 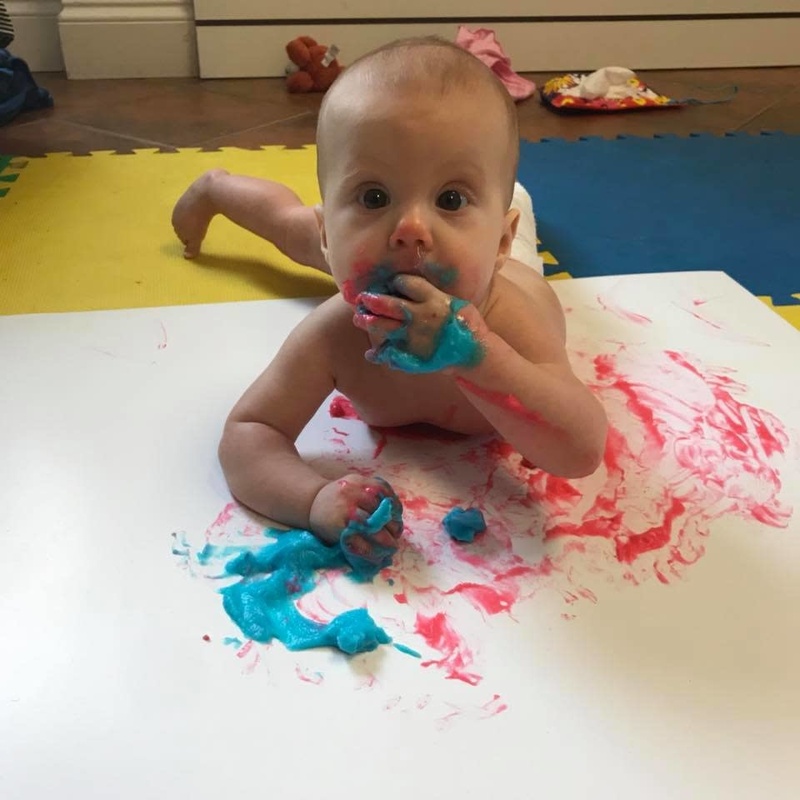 Finger painting is wonderful for the development of colour recognition, experimenting with colours and colour mixing, and is terrific for developing creativity skills and simple cause and effect thinking skills. 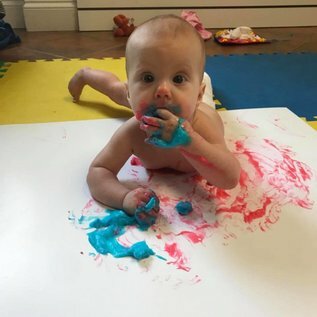 Enjoy a wonderfully messy experience with your baby and leave the mess behind! We will be using homemade cornstarch paint that is absolutely non-toxic and safe to put in mouths. Please be aware that you and your child will be covered in paint, towels and face cloths will be provided for clean up. Bring your camera and we will take photos of you and your baby enjoying the paint! One parent or guardian is required to participate in this experience with the baby, 2 parents are welcome! *Limited space available! Pre-payment required to hold a space. *All materials will be provided, $15/participant. *Cancellations within 48 hours of the event will be subject to a cancellation fee.